We all know that the fourth generation iPhone is already in the pipeline. The real question is that when will it make an appearance? and what features will it have on offer. There has been all sorts of rumors lately revolving around hardware and software capabilities of the next generation iPhone. Some of them make sense, others don’t. Here is a compilation of these rumors. This is all what we know so far about the next-gen iPhone. There has been all sorts of talk about the hardware. From a Dual-Core processor, to a 5 megapixel camera with LED flash, to a Magic Mouse like touch sensitive back. A job posting by Apple recently also hinted towards a possibility of support for WiFi-N standard. More on the hardware aspects of the next-gen iPhone can be read here. Next Generation iPhone 4G to Support WiFi N Standard? 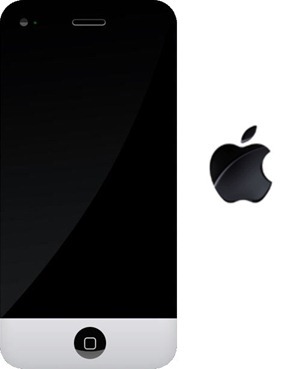 Next Generation iPhone 4G with 5 Megapixel Camera? iPhone 4G with Dual Core Processor to Top Nexus One in April 2010? On the software side, iPhone OS 4.0 is expected to make an appearance (in a Beta form) at the upcoming January 27th event in San Francisco. The new simulator in iPhone OS 4 SDK is said to be specially designed to make it easier for developers to optimize their current iPhone apps for larger high resolution tablet screens. Support for high resolution in the OS could possibly mean higher resolution display for the next-gen iPhone. More on the software side can be read by following the links below. WWDC (World Wide Developers Conference) for the last two years has been home to new iPhone (hardware + software) announcements. Apple this year has booked a “Corporate Event” to be held at Mascone Center between Monday, June 28, 2010 to Friday July 2, 2010. This is the usual time slot when Apple holds its annual WWDC event. So chances of an official announcement at WWDC seems very likely. More on the availability of the next-gen iPhone can be read by following the links below. i think this is the nicest iphone out of all the speculated pictures we’ve seen! hope they go with that MAC theme idea! anyone has an idea if the price will remain at 199$??? I hope that At & T network will be revamped or upgraded to take advantages of all of the additional funtionalities… In addiditon tethering seems to be a thing that At & T is avoiding which is why I have chosen the connect card option. Time will only tell if any of the above is true, nonetheless i will be waiting for the time when I can pick up the 4G iphone or 3.1 version. What makes this a 4G iPhone? It should read 4th Gen iPhone, AT&T will not have 4G-LTE, until Late 2011 or 2012, as stated by Mr. De La Vega. 4G is not going to be deployed by Verizon Wireless until 2011, Sprint's so called 4G network is WiMax; and I know I left out other carriers O2, Orange, Vodafone. To call this unannounced iPhone “4G” is a joke. 4G = 4th Generation NOT the 4G network. yea u homo 4th generation as is the the 4th type of iphone created dumbasss!!!!!!! then why would they name the iphone 3g when it was the second one to come out and the iPhone 3gs just the 3g.